The U.S. Nuclear Regulatory Commission (NRC) recently sent a “chilling effect letter”* (CEL) to the Tennessee Valley Authority (TVA) over NRC’s belief that reactor operators at TVA’s Watts Bar plant do not feel free to raise safety concerns because they fear retaliation and do not feel their concerns are being addressed. The NRC questions whether the plant’s corrective action program (CAP) and Employee Concerns Program have been effective at identifying and resolving the operators’ concerns. In addition, NRC is concerned that plant management is exercising undue influence over operators’ activities thereby compromising a safety-first environment in the control room. TVA officials must respond to the NRC within 30 days with a plan describing how they will address the issues identified in the CEL. What’s a Chilling Effect Letter? The absence of fear of retaliation is the principal attribute of an effective safety conscious work environment (SCWE) which in turn is an important component of a strong safety culture (SC). Almost all commercial nuclear plants in the U.S. have figured out how to create and maintain an acceptable SCWE. We have reported multiple times on long-standing SC problems at another TVA plant, Browns Ferry. And, as we posted on Apr. 25, 2014, Browns Ferry management even made a presentation on their SC improvement actions at the 2014 NRC Regulatory Information Conference. 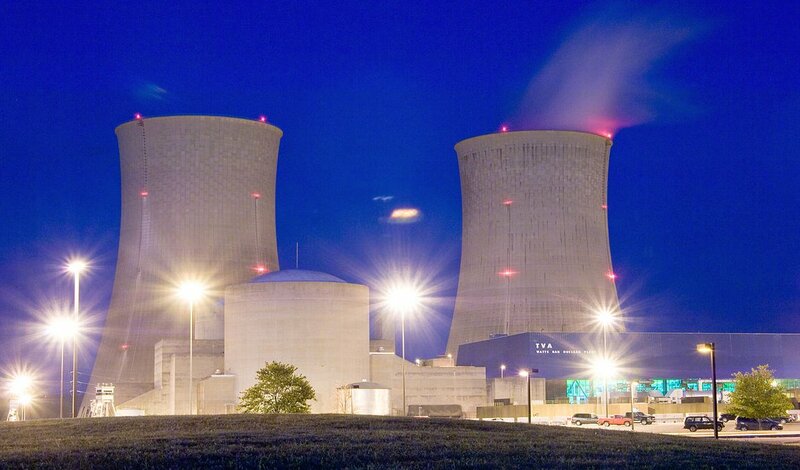 NRC raised questions about the Watts Bar CAP. As we have long maintained, CAP effectiveness (promptly responding to identified issues, accurately characterizing them and permanently fixing them) is a key artifact of SC and a visible indicator of SC strength. As regular readers know, we believe executive compensation is another indicator of SC. The recipient of the CEL is TVA’s Chief Nuclear Officer (CNO). According to TVA’s most recent SEC 10-K,*** the CNO made about $2.1 million in FY 2015. Almost $1 million of the total was short-term (annual) and long-term incentive pay. The components of the CNO’s annual incentive plan included capability factor, forced outage rate, equipment reliability and budget performance—safety is not mentioned. **** The long-term plan included the wholesale rate excluding fuel, load not served and external measures that included an undefined “nuclear performance index.” To the surprise of no one who follows these things, the CNO is not being specifically incentivized to create a SCWE or a strong SC. Bottom line: This CEL is just another brick in the wall for TVA. * C. Haney (NRC) to J.P. Grimes (TVA), “Chilled Work Environment for Raising and Addressing Safety Concerns at the Watts Bar Nuclear Plant” (Mar. 23, 2016) ADAMS ML16083A479. *** Tennessee Valley Authority SEC Form 10-K (annual report) for the fiscal year ended Sept. 30, 2015. Executive compensation is discussed on pp. 152-77. **** The calculation of the annual incentive plan payouts for named executives included a corporate multiplier based on six performance measures, one of which was safety performance based on the number of recordable injuries per hours worked, i.e., industrial safety. The weights of the six components are not shown. An inescapable fact is that when insiders did not report and/or act upon wrongfully harmful conditions, behaviors, actions, and inactions the insiders knowing about them were deterred by chilling effects. These chilling effects are part of the indirect causation. Observation: Chilling effects undermine programs for problem identification and resolution. Observation: Ironically chilling effects suppress the identification of chilling effects. Observation: When chilling effects are first surfaced by a regulatory agency it is prima facie evidence that organization and industry assessments were flawed. Observation: No one ever made Admiral by ratting on the Navy. Observation: A snitch in time saves nine. Which of the above don't need fixing? The Cockroach Principle applies: If you see one cockroach in the middle of the kitchen you can be sure that there are thirty under the fridge. The Kitty Litter Principle applies: If you dig under the surface you'll find the lumps. An inescapable fact is that conditions, behaviors, actions, and inactions were what they were because those in authority wanted them that way, tolerated their being that way, or didn’t know that they were that way. This applies from the work location to the top governance. Observation: Situational awareness is a prerequisite for accountability. Lots of good examples in your newsletter. It would be great if folks would use them to seed discussions of how or why the same or similar problems might arise at their facilities. Thanks for the kind words. Much obliged. Do you have any suggestions for amendments or additions to the newsletter article? Who has links to the root cause analyses of this chilling effect instance and/or other instances of chilling effects? What are the harmful conditions, behaviors, actions, and/or inactions that result in chilling effects? What are the other harmful conditions, behaviors, actions, and/or inactions that were left unreported due to chilling effects?